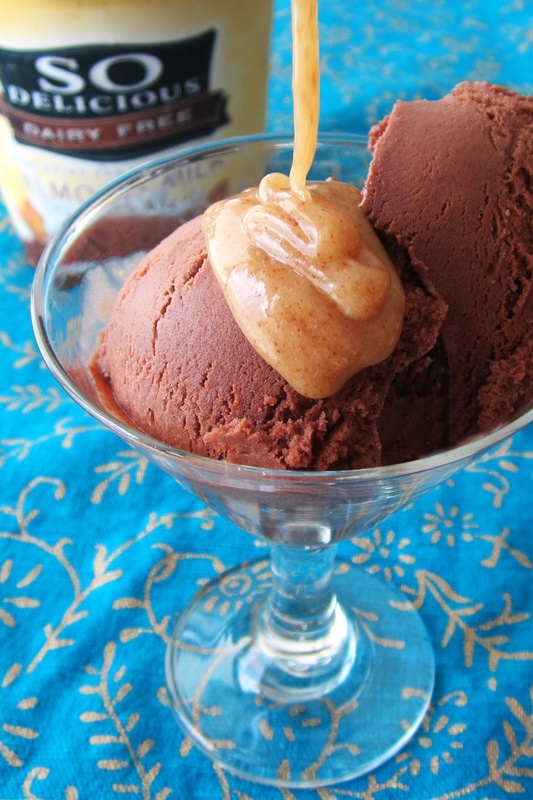 My current favorite is So Delicious Dark Chocolate Truffle Cashew Milk Frozen Dessert. But, that decadent cashew milk line also includes a Creamy Chocolate (for purists) and an AMAZING Chocolate Cookies ‘n Cream. 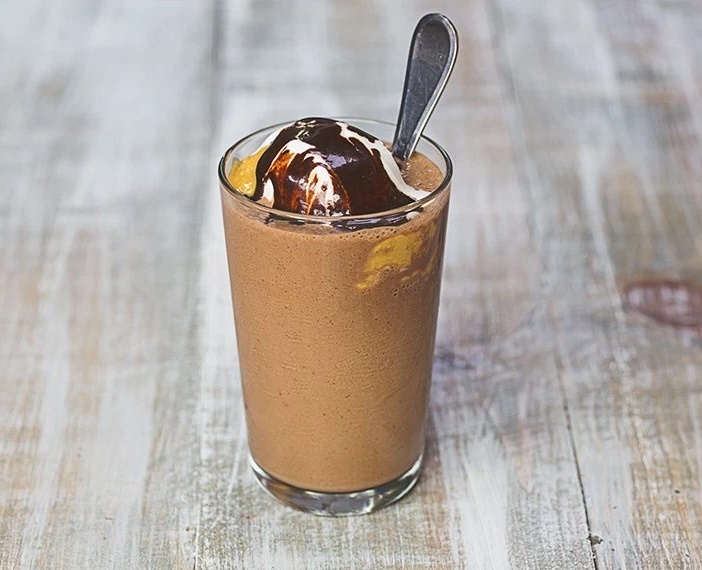 Almond milk lovers can also enjoy a Chocolate Dairy-Free Ice Cream, and Soy-Based Frozen Dessert is still a favorite among many. 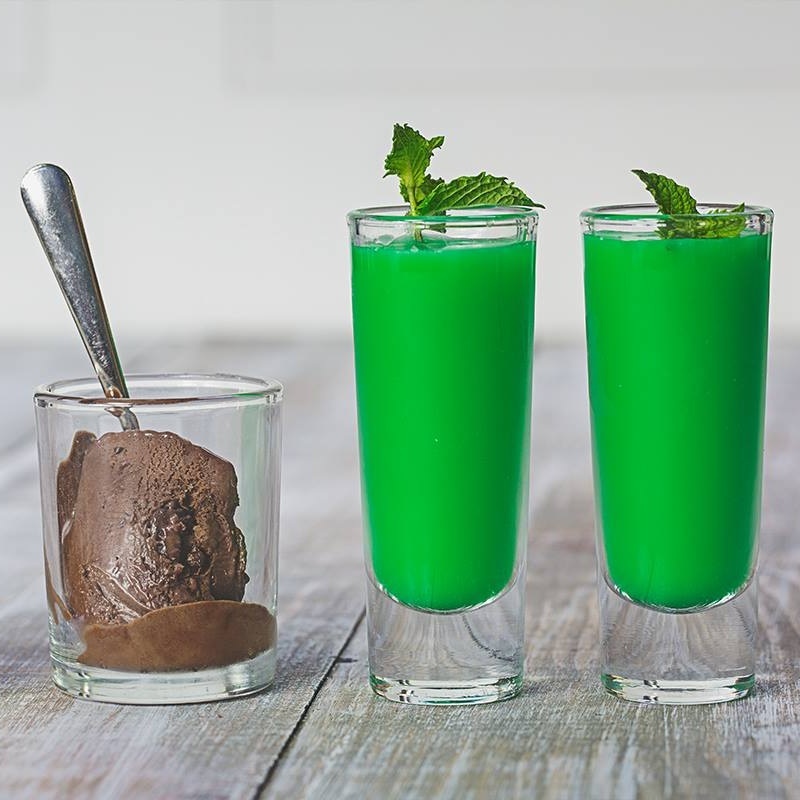 But, if top allergen-free is what you need, I recommend a chocolate Coconut Milk Frozen Dessert (there is even a No Sugar Added option!). 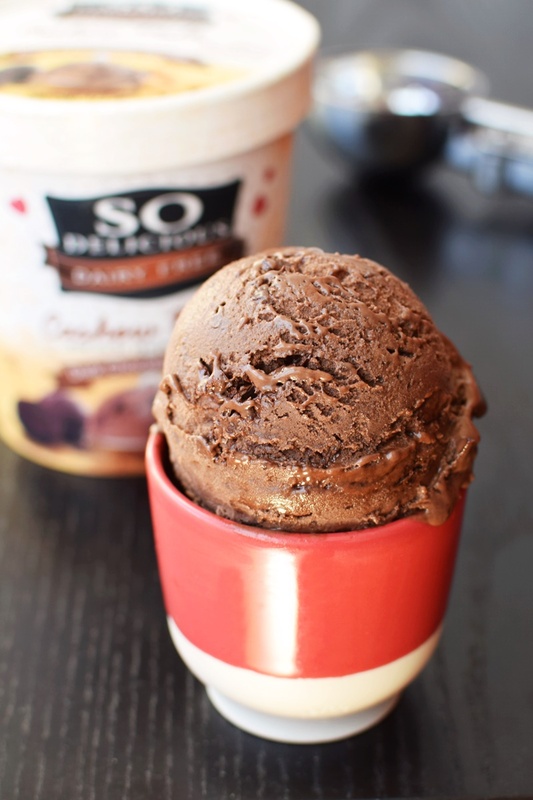 This post for dairy-free recipes using chocolate ice cream was sponsored by So Delicious Dairy Free, but the opinions, writing and delicious idea were my own. To note, the cute little porcelain cups in my pictures are Revol Color Lab Espresso Cups; they’re so versatile! 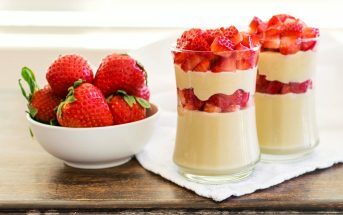 I have 2 conditions that require me being gluten, soy, and dairy free… I just found you and I’m so excited by these recipes! Thank you so much! 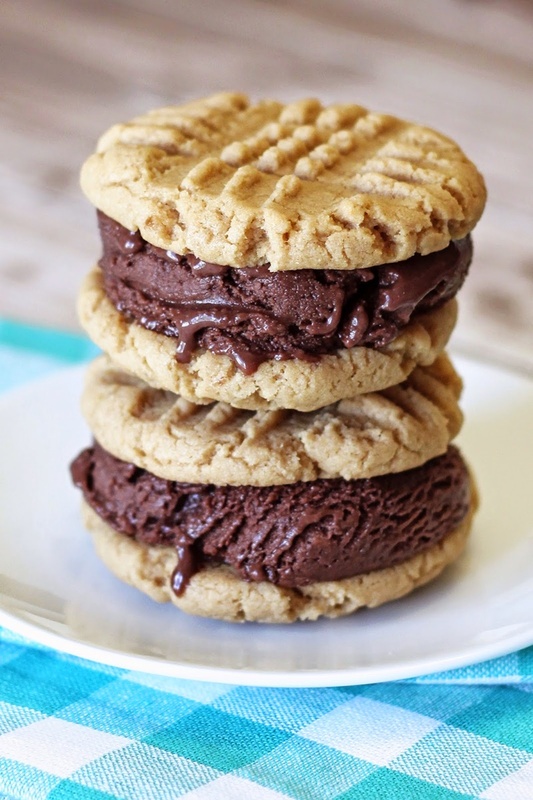 I need those peanut butter cookie ice cream sandwiches immediately! You and me both Lauren! 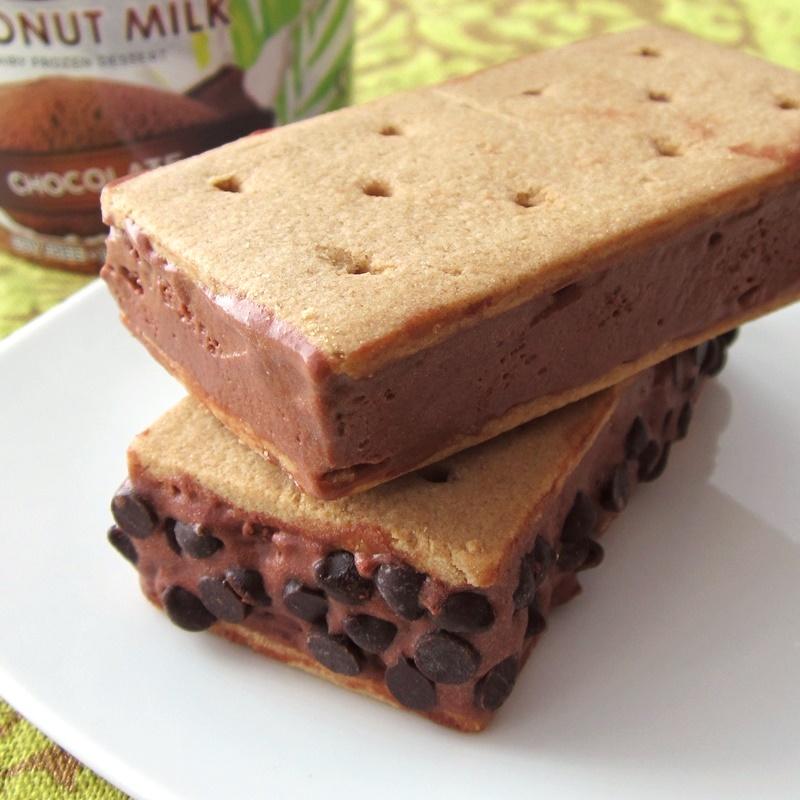 I need all of these…like now…adults can eat ice cream for dinner right? Honestly, we love So Delicious products and I cannot even tell which recipe I should try first because they are ALL so good looking! 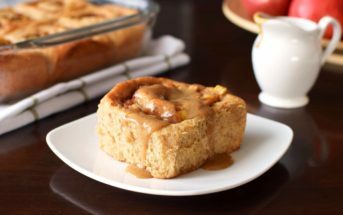 Thank you for including one of my recipes, Alisa! I can’t wait to try one of the others! They all look so delicious! Which should I try first? 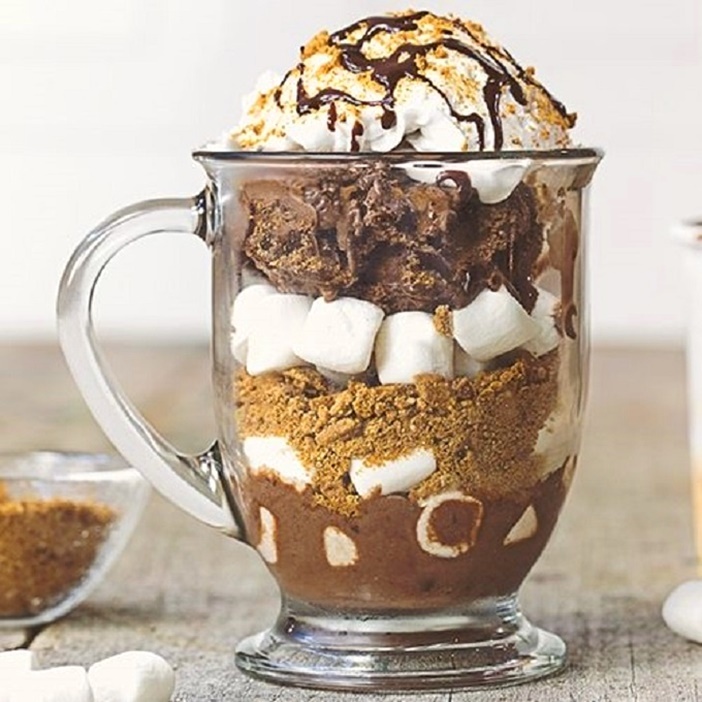 The smores sundae is calling my name! That’s awesome! I hope you end up trialing one or two or that they inspire! You are killing me with all these ice cream treats! It’s my hands down #1 pregnancy craving right now! Oh my! What a fabulous round-up. My chocoholic self is going bonkers. I just can’t decide which one I’d like to eat first. How decadent is this round up? They all look awesome! I love chocolate ice-cream! I do my best to go a little over the top. WOW! So many amazing frozen treats. I’m not sure which one I should try first. 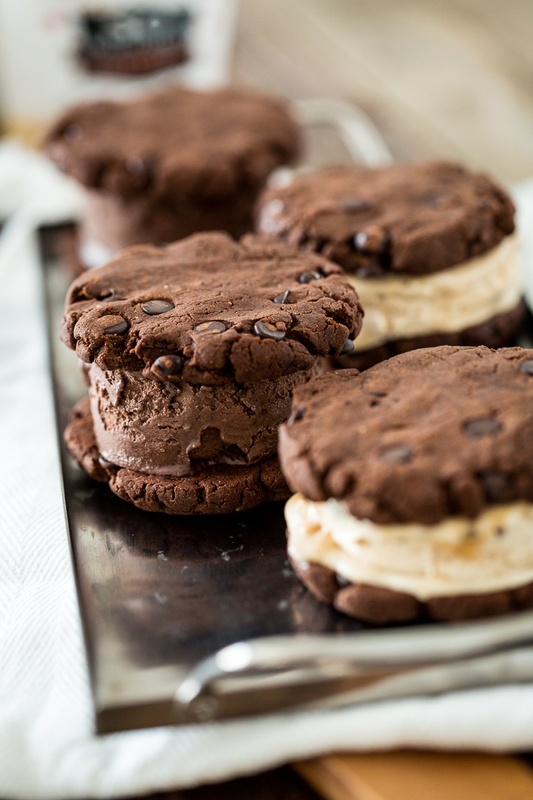 Of the ones I haven’t made, I’m thinking the PB cookie sandwiches and the S’mores sundae first! 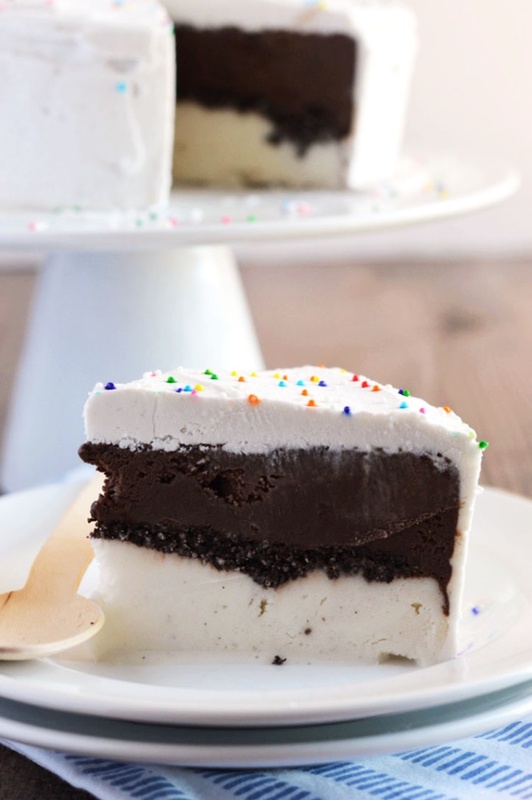 I’m screaming for ice cream and all these delicious ice cream treats! I’m not usually a huge ice cream fan, but this has got me craving it SO bad. Yeah, so I pretty much want to lick my screen! Love them all! These look so good. I love chocolate ice cream the most! Oh my goodness, I SCREAM!! 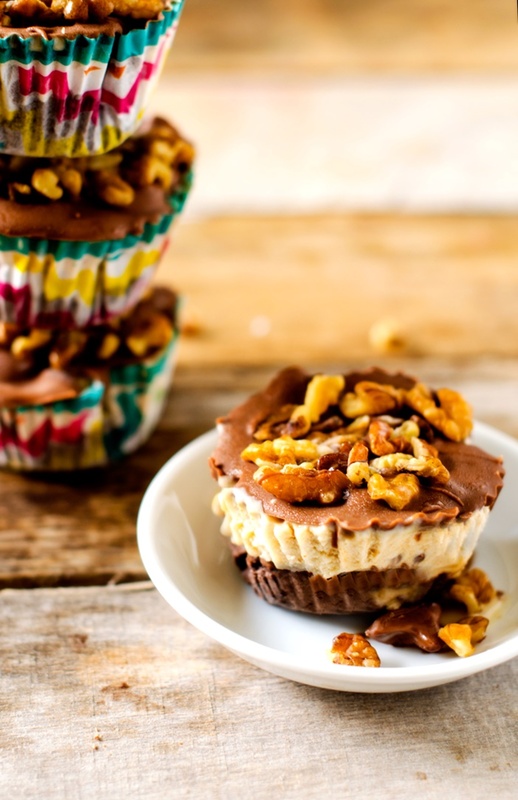 There’s just something about ice cream made into even more decadent desserts, right? 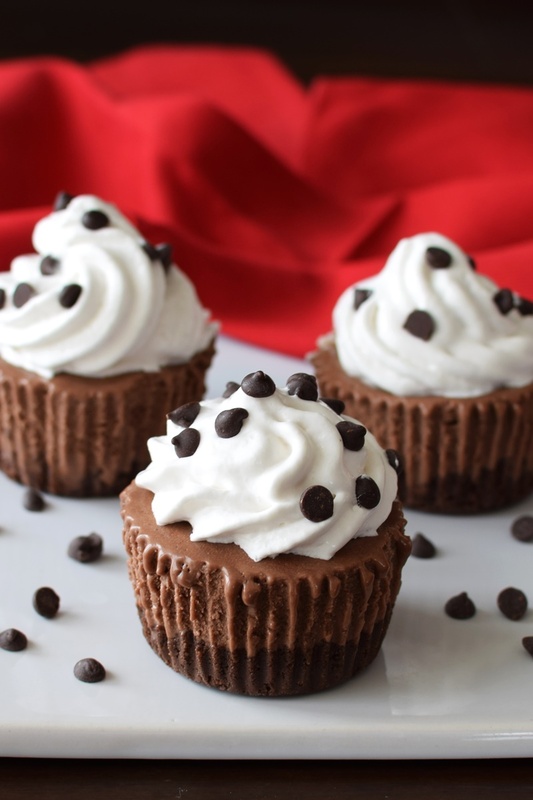 Those cupcakes! 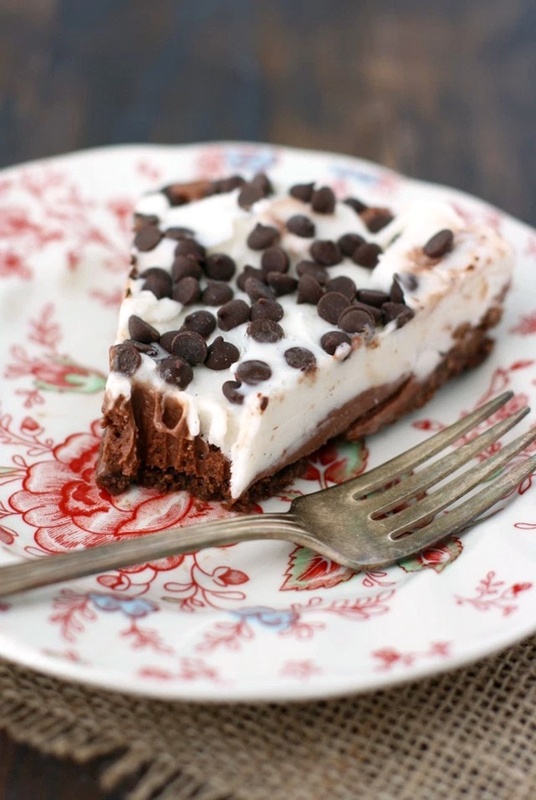 And I think that Mocha Almond Fudge Truffle Pie. . . just has to be in my kitchen, SOON. 😉 What a great roundup! 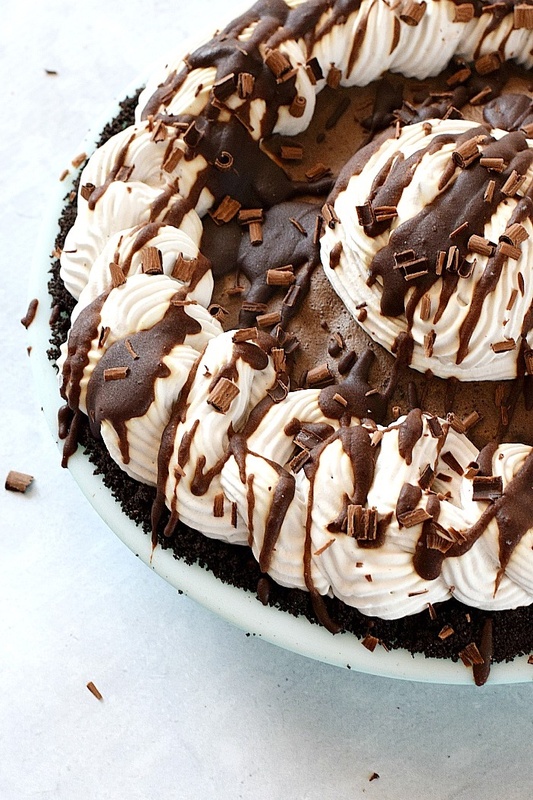 That truffle pie really got me, too – all I could think was wowsers!